The Board of Education adopted a resolution urging the leaders of Clinton Township, Fraser and Roseville to prohibit marijuana facilities within our district boundaries. The Portrait of a Graduate will be the centerpiece of our new strategic plan that will guide our district for the next several years. Find out what work has been done and what is coming up in the coming months. 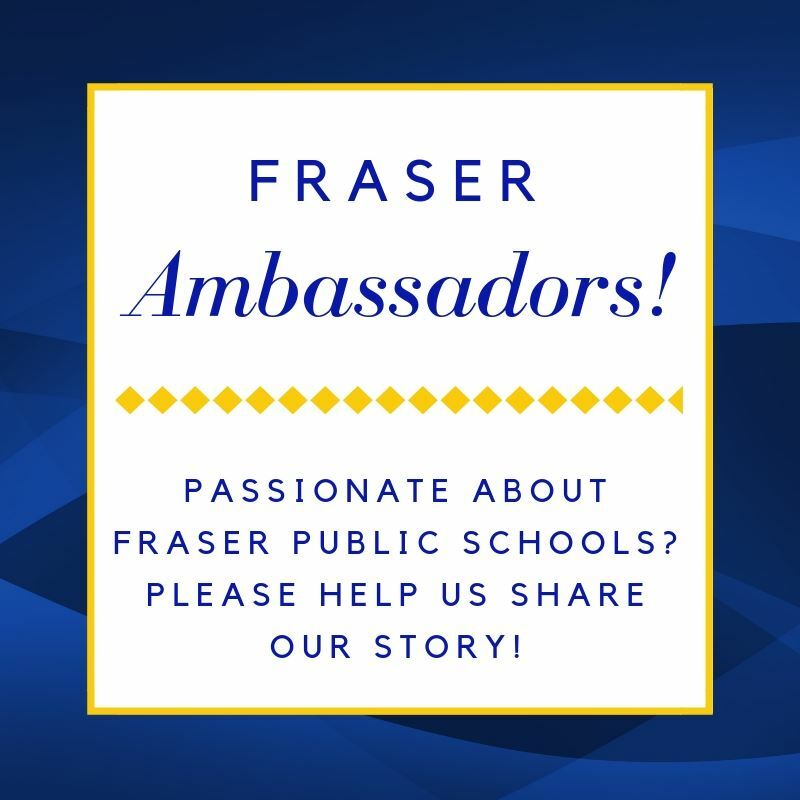 Are you passionate about Fraser Public Schools? Would you like to help us share our story? 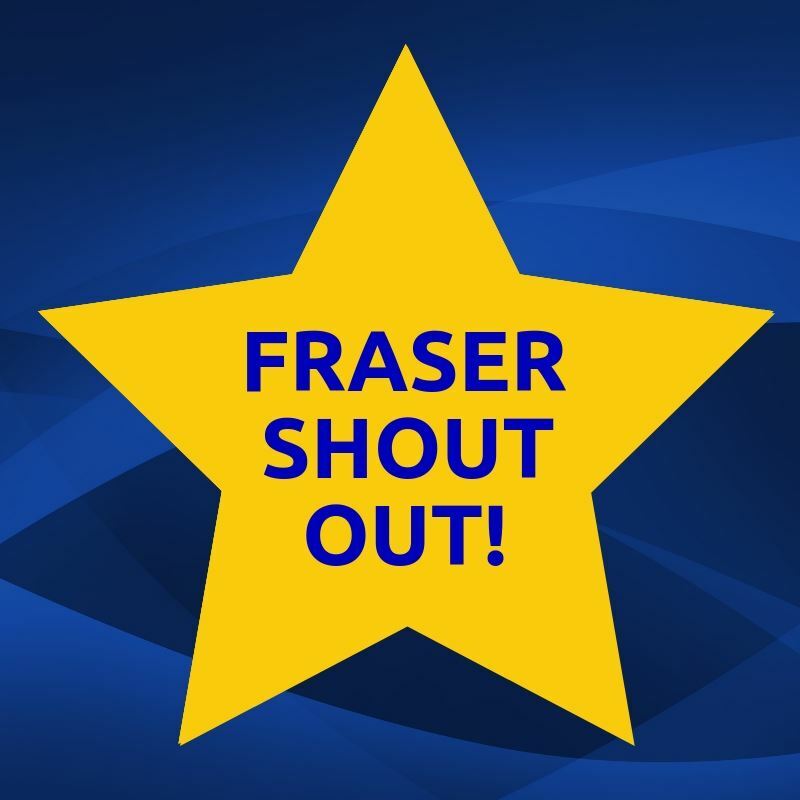 Meet the staff that go above and beyond for students and colleagues in Fraser Public Schools. Check here for a compilation of district and school fundraisers that encourage community participation. It’s more than a school district. It’s a family. Students, parents, staff and community members all share that sentiment. Our Fraser Family is every one of our 5,000 students who learn the skills needed for future success in one of our nine schools each day. Our family is every one of the hundreds of teachers, staff, administrators and leaders who work tirelessly to transform learning. Regardless if you live in our district, choose Fraser Public Schools or are thinking about enrollment – we invite you to be a part of our #FraserFamily. Share your own photos or videos with this hashtag and let's show off what makes us a family.